dieses verbotsschild wurde vom künstler 33 Mal 1:1 als siebdruck reproduziert und um die originaltafel plakatiert. der verunstaltende künstler dokumentierte im verlauf der aktion fotografisch die verunstaltung der wand, bedingt durch das eingreifen anonymer passantinnen und passanten. 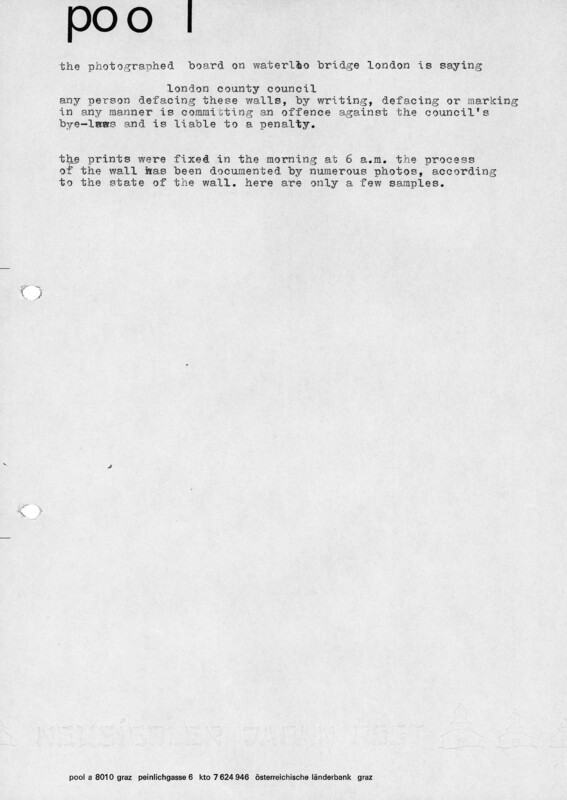 this work was directly related to “cleopatra’s needle”, although it did not address any historical reference, but rather a ban. 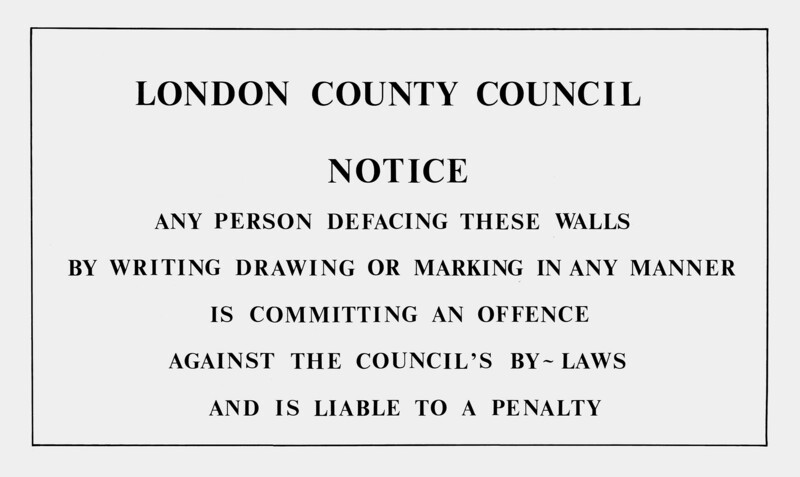 the london city authorities had mounted a sign saying that persons defacing the wall by writing or drawing on it in any form were breaking the law and liable to a penalty. the artist reproduced the sign 1:1 in 33 copies as a screen print and posted these up around the original sign. during the course of the action the defacing artist photographed the defacing of the wall through the reactions of anonymous passersby.